Recent events in my life have lead me to write this post so if you are easily offended I suggest you just go read the other nice entertainment stuff on my blog ;)! My entire life I have been what you call “Super Patriotic” what can I say I love the Dominican Republic. Even though I am half Dominican and half American there is something about my mothers native country that makes me so passionate about it. As a young girl anything that had a Dominican flag printed on it had to be mine it could be anything a purse,shirt or headband if it had the flag it was mine. I use to look forward to Calle 8 (The largest festival in Miami) just to see what cool new stuff would have the flag on it. As I got older I started using things with the flag less and less to the point where the only thing connecting me to DR is the tambora (a Dominican instrument) hanging on the rearview mirror of my car. Getting older means I can’t really pull off having flags everywhere but I don’t really need them because as soon as I open my mouth you’ll know where I’m from. Last year I landed my first media job in radio and one thing that helped me there was my comedic Dominican side because it’s what I’m good at. Things happened and the station I was at ended up flipping and well there was no room for that feisty Dominican chick I was so use to being. Now if you don’t speak Spanish you may not realize that every country speaks it differently. Before I even entered the media world I knew that I had to practice how to neutralize my accent so that when i spoke it would be appealing to all audiences not just Dominicans which is totally understandable because you want everyone to be able to understand you. I practiced neutralization but I never wanted to lose the essence of who I really was I always wanted to do it right but for some reason people just love when my Dominican comes out. To make a long story short the very personality that got me there was the same one I need to steer away from when all the changes occurred. So am i really too Dominican? The answer is NO! Just because I like mangu, say diache and drink Presidente does not mean I’m “too Dominican”. 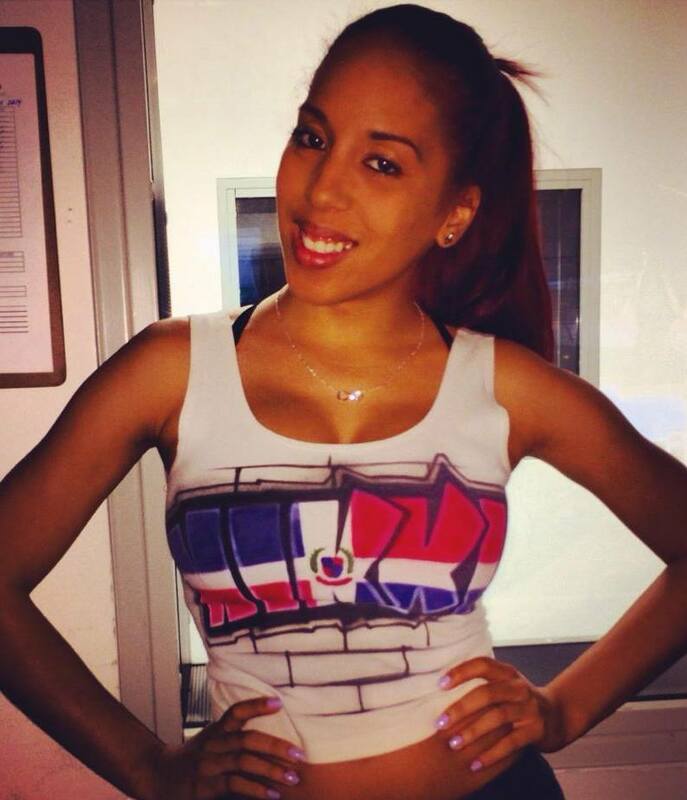 Dominicans come in many different forms, we are mixed with Spanish, Taino Indian and African blood. There is a difference between the Dominicans from the east side and the Dominicans from the west side. We have all religions we have all colors we have good hair bad hair pretty girls in all different shapes and sizes. Dominican Republic really has it all. In my own way I represent my country and I refuse to change that for anyone. Yes I’ll neutralize my accent in the moments that I have to and that is only so everyone can understand the message I am trying to send but i will NOT change my personality and I will NOT settle for people thinking that I am something else. SOY DOMINICANA HASTA LA TAMBORA Y AL QUE NO LE GUSTE SU PROBLEMA. PARA EL GUSTO SE HICIERON LOS COLORES!! Previous NIKKI305’S TRACK OF THE WEEK! @PITBULL FT @DONMIGUELOREAL- COMO YO LE DOY! DOWNLOAD HERE! Next Bubble Football?! You Have To Check Out This Sport! !